Epilepsy, also known as seizure disorder, is a serious condition in which a person experiences a sudden surge of electrical activity in the brain, affecting how they act or feel. There are many portrayals of this disorder in television (all of which are wholly inaccurate and for plot reasons only). Being personally afflicted with the most commercially patchable form of this disease, the most accurate description I could describe you with would be to tighten all your muscles as hard as you can, past the point of discomfort. You’re starting to cramp, aren’t you? Now conceptualize this: while your muscles are tensing, you are repeatedly bashing your appendages and your head against other solid objects (Do not try). It is a disquieting scene to witness a man attempting to stand on his own two feet, but his muscles have been strained to the point that it’s too painful to do so. In order to enlighten some of you about epilepsy, the following list is fifteen facts I have learned about epilepsy through research, trauma and treatment. 15. Hippocrates wrote the first book on epilepsy, On the Sacred Disease, around 400 BC, recognizing that it was a brain disorder and claiming that people with epilepsy did not have the power of prophecy. 14. Single tonic-clonic (otherwise known as grand mal) seizures lasting less than 5-10 minutes are not known to cause brain damage, contrary to the belief that seizures cause brain damage, they are actually more likely to stem from head trauma. 13. You cannot swallow your tongue during a seizure; you cannot swallow your tongue now, can you? 12. There have been some recent implications that have caused many to believe epilepsy goes hand in hand with anxiety and depression. 10. Early in the 19th century, people with severe epilepsy were cared for in asylums, but one of the reasons they were kept separate from psychiatric patients was because of the misconception that seizures were contagious. 9. Everyone is born with a seizure threshold. If your threshold is high, you are less likely to have a seizure. However certain activities or things, known as triggers, can lower your threshold, such as drinking alcohol, sleep deprivation, stress, illness, flickering lights and hormones (for women mostly) can have an impact on your seizure threshold. 8. Only in about 30% of cases is the cause of epilepsy determined. The other 70% remain unanswered, in what is referred to as idiopathic epilepsy. 7. About 1 in 20 epileptics are sensitive to flickering light, or photosensitive epilepsy. The contrast, or change in light, can trigger a seizure. 6. The official color for Epilepsy Awareness is Lavender, with the pantone swatch of PMS 2593. 5. Towards the start of the 20th century, some US states had laws forbidding people with epilepsy to marry or become parents, some even permitting sterilization. 4. 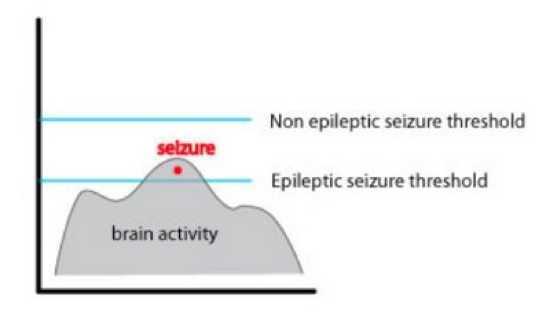 Seizures have a beginning, middle, and end. The beginning, referred to as the aura, can have signs of the oncoming seizure such as smells, sounds, tastes, lightheadedness, or deja and jamais vu. The middle, is the seizure itself, whether it be a grand mal seizure, or a simple partial seizure. The end of the seizure is called the postictal phase and is the brain recovering, which can take anywhere from seconds to hours and is usually accompanied with disorientation and memory loss. 3. 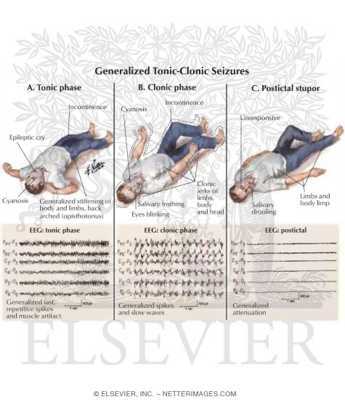 The proper treatment for someone having a tonic-clonic seizure is not what you see in TV shows (multiple people pressing their body weight down on a seizing person). Here’s what you should do: Pay attention to how long the seizure lasts, move objects that they could strike out of the vicinity, simply block their way to prevent them from moving too far (or into water, fall off a bed, etc.). Put them on their side after the episode and don’t put anything in their mouth. If it lasts for more than five minutes call an ambulance. 2. 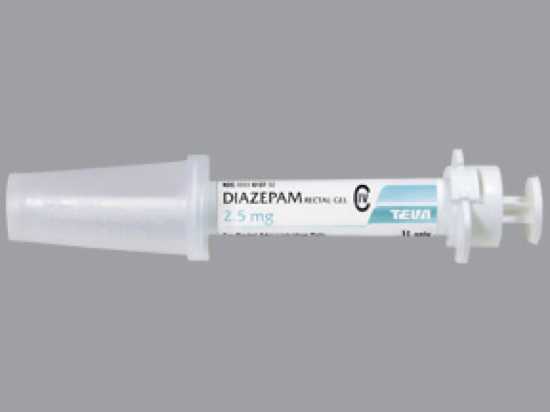 Diastat, or diazepam, is the medicine used to treat a prolonged seizure or cluster of seizures. It is a gel supplied in a plastic applicator that, most unfortunately, has to be inserted rectally. 1. Epilepsy is usually not a lifelong disorder, with only 25% of those who develop seizures developing difficult to control seizures. And in my experience, those who have lifelong seizure disorders have more serious conditions at play.